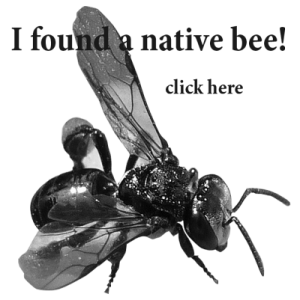 Water meters, walls , pipes and even compost heaps are places native bees love to live. Re-homing them is quite simple if you know what you’re doing. If you have done it before and it has failed do not feel bad as there is a lot that can go wrong. 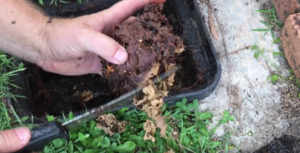 Have a look at this water meter nest removal video followed by the important tips below. -The most important tip I can give anyone is don’t use a poor hive! Make or buy a hive that has thick walls, made from natural materials and most importantly has good ventilation. The hive in the video above did not meet the criteria but as it had already been made by the owners it would do till they got a better one. -Take resin from the existing entrance and place on the new hive entrance. -Work clean! I can’t tell you how important this is. I have heard many times that a person’s rescue has died. Colonies of stingless bees are very resourceful and are great survivors, however, if there is too much mess for the poor bees to clean up, pests will inevitably move in. This includes wiping away all honey that is on the outside of hives. -Don’t add broken honey or pollen pots! This means any honey or pollen that is not contained inside an unbroken wax casing. Don’t do it! -Cut around the brood with some distance as to not disturb the cells. Use a tool to aid in not squashing any cells as you raise the brood out of the nest structure. -Use a blower to clean out meter box of any bees left and quickly place lid back on and tape before the bees can re-enter. -Place towel on meter, then your hive box with entrance as close to the old entrance as possible. If you have any questions or suggestions, add a comment below. Hi Nick, great tips! I would also add to the list of tools, a small bottle of water , as I have found this (along with the wet rag ) very handy to wash hands of honey during / after the job, to avoid messy transfer to new hive. Interestingly, I have also discovered that in 80 – 90% of cases, a new colony will come back and re-establish in the exact same meter pit , within the following 12 – 18 months. It does not seem to matter if the pit is left totally cleaned out, of all stores, wax, propolis, etc, or left partially intact, with some entrance resin, etc in place. I guess this could depend on what area you are in, and what species, as they are predominantly TH where I am. I have quite a few meter pits in my area that I have just removed 3rd / 4th time re-builds from. So I guess the local council is doing their bit to provide a means of hive duplication for us, unbeknowns to them ! Great point! It is certainly a must I have forgotten here. Sticky steering wheel and car parts are not fun. Your right! The do love to return. I don’t do a lot of water meters but I know of one at the parents house that repeatly returns. Hi Nick, Thanks for the video. I think that’s where I went wrong last time, transferring to much material and with some spilt honey. I have cleaned my box up and trying another transfer tomorrow. Is there a better time in the day to transfer the bees? How much time should I give myself to complete a transfer? I belive early morning is the best time because most of the bees are in the brood and also it gives them the full day to learn their new Home and where to go. I’d give your self an hour to be really careful. Half an hour if your pretty experienced and wish to gather all Bees. ??? ?